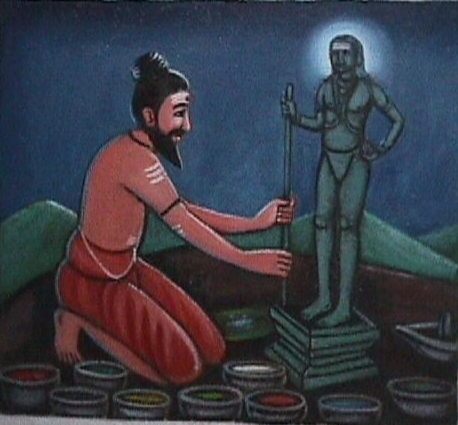 His disciple Pulipani siddhar then took over the job of Lord Murugan pooja after Bogar went into Nirvigalpa Samadhi - the highest samadhi stage; where the Mind dissolves with Matter and Energy. 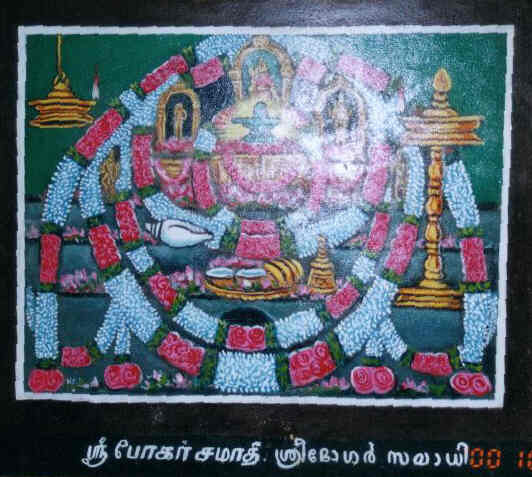 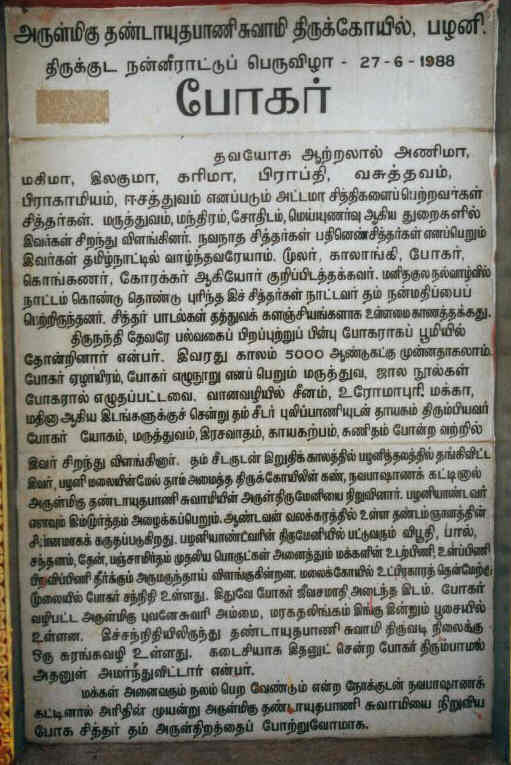 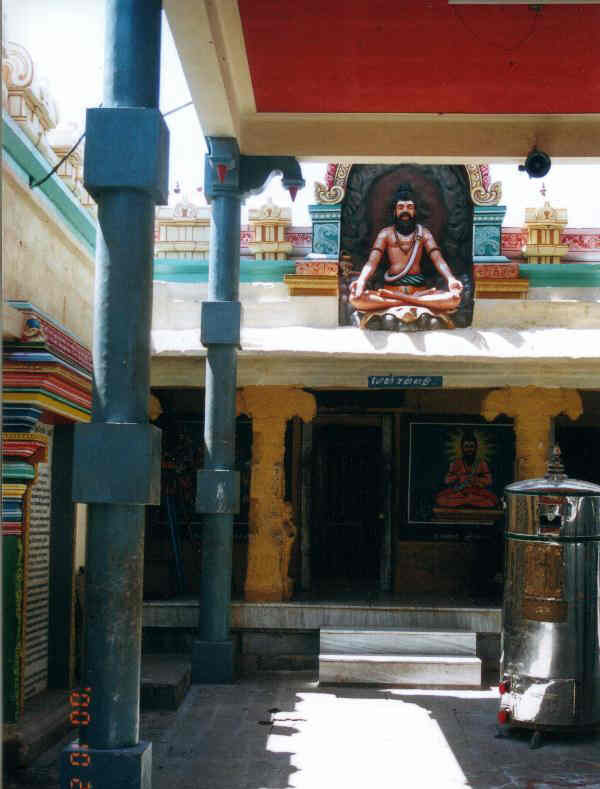 Bogar Samadhi is inside Palani Murugan temple at Palani Hill. 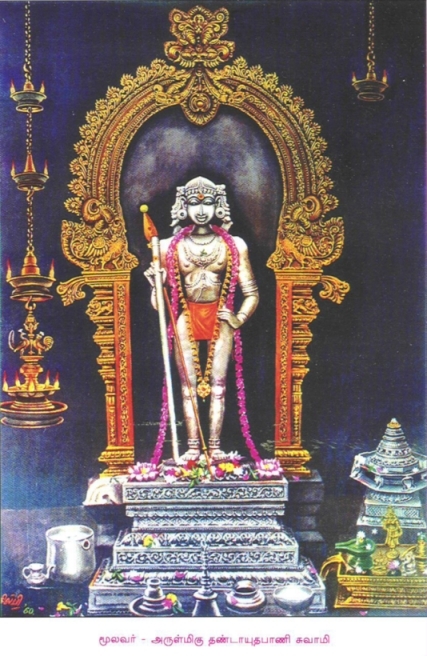 Actually Bogar himself constructed his samadhi exactly under the Lord Murugan Navabasha idol and went into Nirvigalpa Samadhi there. 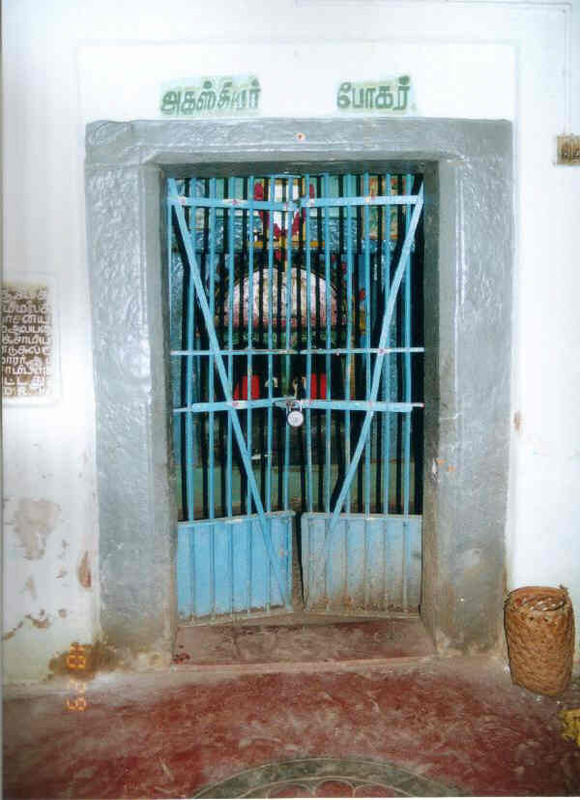 The entrance to his samadhi is a cave like structure, now also worship for this great siddhar is conducted at this entrance where he is last seen by his disciples which is at the Palani temple. 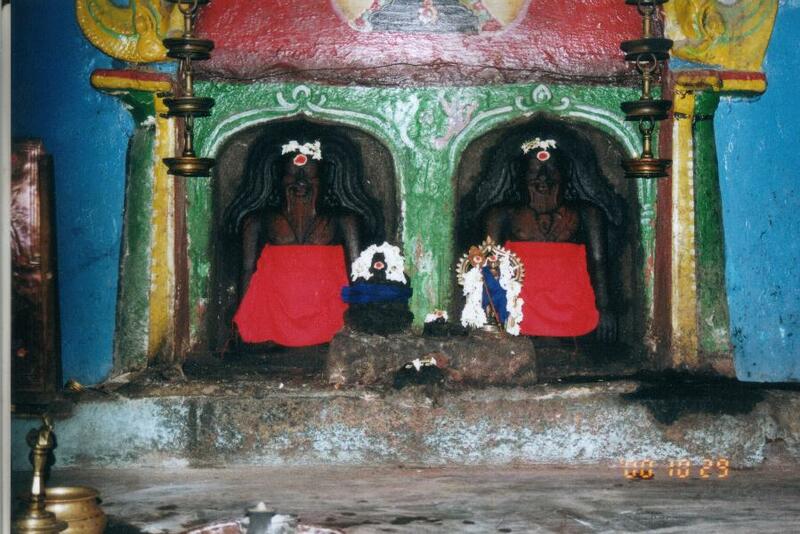 Bogar Samadhi Entrance Maragadha Lingam, Buvaneeswari and Dhandayuthapani worshipped by Bogar found at Bogar Samadhi (photo below).